− three = 3 Required Please enter the correct value. The Bakken Shale formation of North Dakota and Montana was back in focus for investors earlier this week when Whiting Petroleum Corp. (NYSE: WLL) announced plans to purchase Kodiak Oil & Gas Corp. (NYSE: KOG). Through the deal, WLL will pay $3.8 billion in stock and $2.2 billion in debt. The combined company produced over 107,000 barrels of oil equivalent in the first quarter of 2014. But WLL isn't the only company profiting from the Bakken Shale. In the wee hours of July 6, 2013, a freight train derailed. The accident sent several cars hurtling downhill into the small Quebec town of Lac-Mégantic, close to the American border. The train was full of crude oil, and the cars, without any brakes or engine power, went smashing into the center of town. The ensuing explosion leveled Lac-Mégantic's homey, lakefront downtown. Thirty buildings were destroyed. Many investors have heard of the Bakken oil field in North Dakota and Montana, but most are unaware of how important this formation is becoming to the U.S. economy. More germane to investors is the fact that there is still a lot of money to be made from Bakken oil in the months and years ahead. He spotted the potential of Bakken oil well ahead of most and bought a non-energy company that would benefit greatly from the boom. Three years ago he bought Burlington Northern Santa Fe (BNSF) Railway Co. for $26 billion. "We're the 1,000-pound gorilla in the oil markets," BNSF CEO Matt Rose told Bloomberg News. 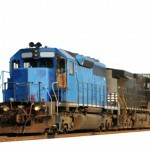 "Crude by rail is going to be really strong for us. It's been a real benefit to us to replace some of that lost coal business." The Bakken oil formation isn't just an investing opportunity; it's transforming the U.S. energy landscape. The Bakken oil shale boom is the opportunity of a lifetime. With activity ramping up rapidly - production has soared from 100,000 barrels a day in 2005 to 494,000 barrels a day in February - the Bakken oil shale boom could turn out to be just as big, if not bigger than the California gold rush 1849. Last week we told you about how the Bakken oil shale boom has affected Williston, ND. The town has an absurdly low unemployment rate of 0.8%, and the average pay for the oil company jobs is about $90,000. One way to take advantage of this boom yourself would be to move to North Dakota. But with dozens of companies flocking to the region, a much easier way to get in on the boom is to simply invest in some Bakken oil shale stocks. 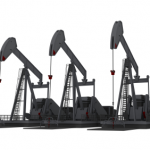 The allure of big profits has attracted dozens of companies to the Bakken oil shale formation. The list ranges from industry giants like Exxon Mobil Corporation (NYSE: XOM) and ConocoPhillips (NYSE: COP) to pipeline companies like Enbridge Inc. (NYSE: ENB). With oil prices expected to keep rising, and the production in the Bakken not expected to peak until 2020, it will be hard not to make money in Bakken oil shale stocks. "Bakken is almost twice as big as the oil reserve in Prudhoe Bay, Alaska," Harold Hamm, CEO of Continental Resources Inc. (NYSE: CLR) - one of the major players in the Bakken oil shale boom -- told The Wall Street Journal last October. "We expect our reserves and production to triple over the next five years." Still, some Bakken oil shale stocks will benefit more than others. For example, the really big companies like Exxon, with large global operations, will see less of a boost than companies with operations concentrated in the Bakken and other North American shale deposits. Money Morning has taken a look at these Bakken oil shale stocks and found five companies positioned to benefit most from this historic find's tremendous potential. Did you ever wish you'd been around for the California gold rush of 1849? Or the Texas oil boom of the early 1900s? Maybe you can't go back in time, but you don't have to. 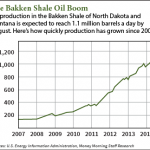 The Bakken oil shale boom going on in North Dakota right now is just as big-if not bigger. Just take a look at what's been happening in Williston, ND, the epicenter of the Bakken oil shale boom. In Williston, it's like the recession never happened. Unemployment is under 0.8% -- that's right, less than 1%, far below the national average of 8.2%. And the new oil jobs pay well, too. The average oil worker is making more than $90,000 a year. The flood of jobs has made Williston the fastest-growing small city in the United States. Consequently, there was no collapse in home prices in Williston. The inrush of new employees to work the Bakken oil shale boom has actually created a housing shortage. A one-bedroom apartment that went for $500 in 2005 costs at least $2,000 now. Builders literally cannot build homes fast enough. The rapid population growth from the Bakken oil shale boom has left many people sleeping in cars and tents. Williston just this week was forced to pass an ordinance that makes it illegal to live in a camper within city limits. And while other states have been cutting services, shedding jobs and raising taxes, North Dakota is building up the state trust fund and reducing property taxes. All that, and still it projects a $1 billion surplus for its two-year budget. "This boom is just wild and crazy," Williston Mayor Ward Koeser told Governing magazine last year. "It's more than you can fathom."